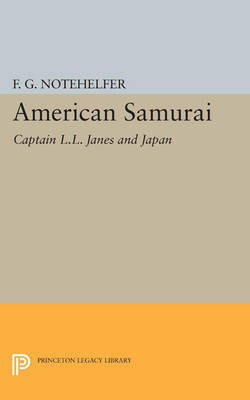 The book reveals how a man on the way to being a misfit in the United States became the heroic American samurai." It discusses Janes as one of the few Westerners allowed to live in the interior and as the "father" of the Kumamoto Band, which became the dominant wing of Japanese Protestantism and a significant modernizing force. Originally published in 1985. The Princeton Legacy Library uses the latest print-on-demand technology to again make available previously out-of-print books from the distinguished backlist of Princeton University Press. These editions preserve the original texts of these important books while presenting them in durable paperback and hardcover editions. The goal of the Princeton Legacy Library is to vastly increase access to the rich scholarly heritage found in the thousands of books published by Princeton University Press since its founding in 1905.